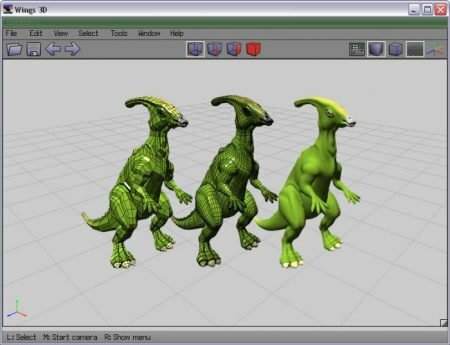 3D modeling software has greatly evolved since it was introduced in 1972 by Ed Catmull. 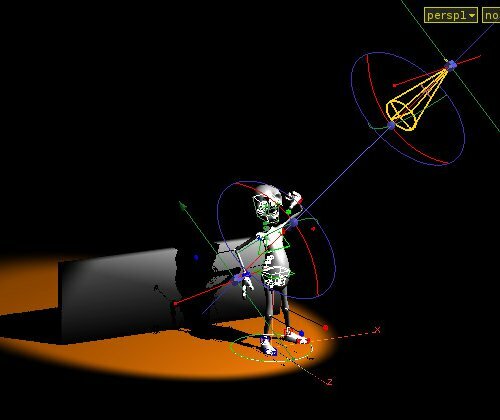 The application of 3D modeling software then was used to produce the world’s first computer-generated animation. Today, 3D modeling software is employed in film, architecture, medicine, video games, and science. We have tackled why architectural rendering is important and what one should look out for when choosing a 3D rendering company. We know that a client’s vision for their project must be implemented in the most accurate and aesthetically pleasing way. Although a render might seem like it’s a product of magic, it’s not. The architects behind these companies use 3D modeling software to bring their clients’ vision out for the world to see. Most 3D modeling software is often pricey and is used by companies who can afford to shell out a couple of dollars for equipment. It may be very tempting to look for a pirated version of this pricey software in hopes that you can achieve the same output through the same tool. Please don’t do that. Aside from courting unwanted legal action through a possible piracy case, it’s important to know that constant practice in your trade makes you better—not just your tools. If you are an architecture student or enthusiast, it may seem very uneconomical to purchase paid 3D modeling software. It’s no surprise– most of them cost at least $1,000! Thankfully, a good 3D render doesn’t require pricey software. Here at RealSpace 3D we are not just real estate website design company we also use free 3D modeling software when we create our renders. The results? They are just as spectacular. We have compiled a list of 20 3D modeling software that you can use at your convenience. It should be noted that although all the software listed are free, some may have limited functions and will ask you to pay extra to access their full features. Below is a comprehensive list of what we belive are the best free 3D modeling software. Arguably the most popular among all open-source 3D modeling software, Blender’s longevity is credited to its amazing community. There are no hidden charges, and none of the hassle a ‘free-mium’ gives to their patrons. Blender supports the 3D pipeline. They can render, do animation, model, do compositing and monitor tracking, simulate, and rig. 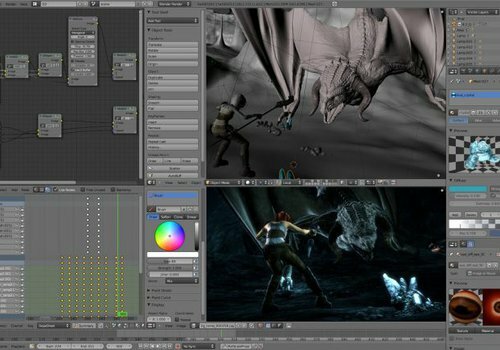 The latest version of Blender also allows users to do video editing and game creation. Blender has it all. We use it for a number of our projects and the results have never disappointed. 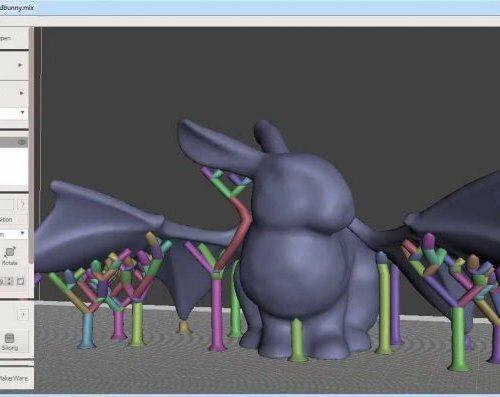 Like Blender, Wings 3D is an open-source 3D modeling software. Founded in 2001 by two Swedish developers, Wings is currently maintained by Dan Gudmundsson, Richard Jones, and their community. 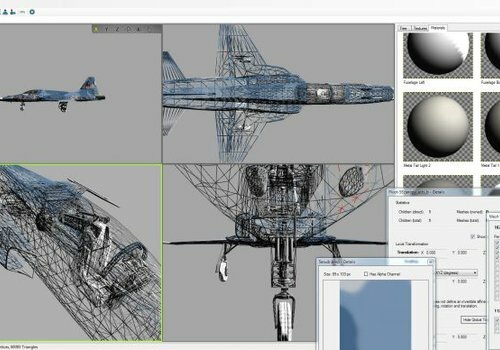 What sets Wings apart from the others is that it has support for visual mirroring for symmetric modeling. It is often used in rendering and sculpting applications. Sadly, Wings does not support animation… for now. Although not a full open-source 3D modeling software, 3D Crafter is highly recommended to the aspiring 3D animator. Users can model their desired object or design through an interface that allows drag & drop. The majority of the 3D tools are focused on deforming, sculpting, and painting 3D shapes. Although 3D Crafter does the basics of 3D modeling, you need to pay to get their advanced 3D modeling features. For those starting out in 3D modeling, 3D Crafter is a worthy option. 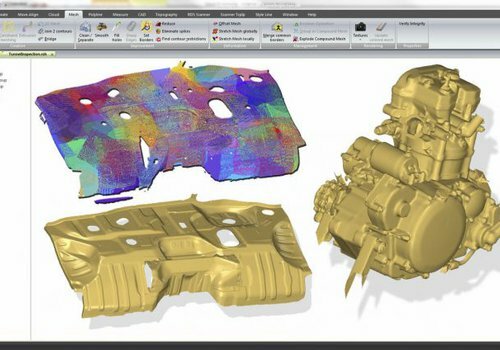 3D Reshaper’s strength lies in its topography module. 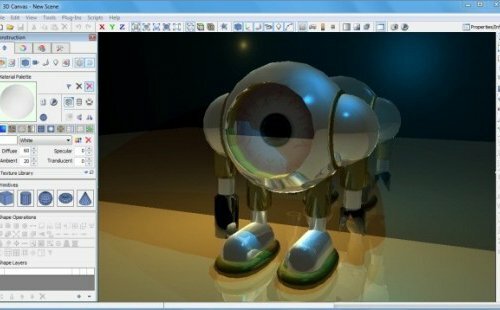 This software is dedicated to easy 3D modeling and has support for various scripts and textures. Applications for the software have been used in many fields including architecture, civil engineering, and ship building. 3D Reshaper requires the user to pay to access certain features in the long run, but the price is quite affordable compared to their competitors. Houdini is often employed in the industry for a variety of reasons. Whether it’s to produce CGI for a superhero film or create 3D models, it has become a household name for the digital industry. Sadly, Houdini is not free. You have to spend around $4,000 to permanently own the software. The heavy price, coupled with Houdini’s growing fanbase, paved way for the creation of Houdini Apprentice. 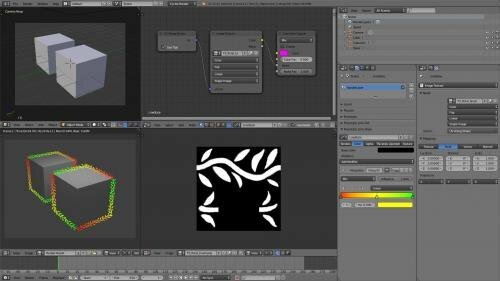 Houdini Apprentice allows users access to almost all of the tools one can get from the regular Houdini. Limitations of the software include the limited rendering file size (files are limited to 1280 x 720), outputs may have watermarks, and third party renderers are not supported. Additionally, outputs produced by Houdini Apprentice are only limited to non-commercial use. If you’re planning to use this software to create outputs for a client or for advertising your business, then it’s best to forget that idea. Overall, Houdini Apprentice is best for students and hobbyists who want to get a feel of Houdini without the financial commitment. FreeCAD is an open-source 3D modeling software that specializes in designing real-life objects. The software employs parametric modeling. Although its main uses are in mechanical engineering and product design, it can also be applied in architecture. FreeCAD started in 2001 and is currently maintained by its community. This software is best for anybody requiring 3D modeling in a variety of real-life applications. 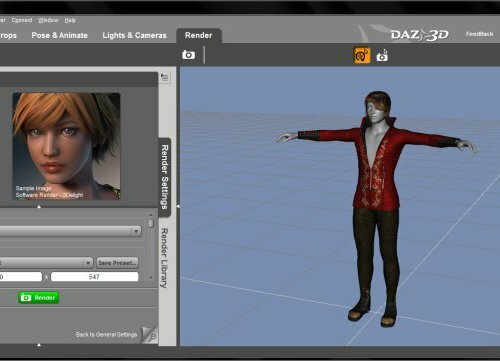 Daz Studio mostly caters to artists that use 3D modeling as their medium. Video games, animation, and character designs are the common outputs that one can create with the software. The software is completely free and has scene building, rigging, morphing, animation, rendering and physically based rendering features. Along with those, Daz Studio employs Genesis 3 technology. This allows users to create characters that are life-like. DesignSpark is completely free. Those in mechanical, electrical, and electronics engineering will find it a delight to use it. Their software has a CAD library containing a large number of choices to choose from. 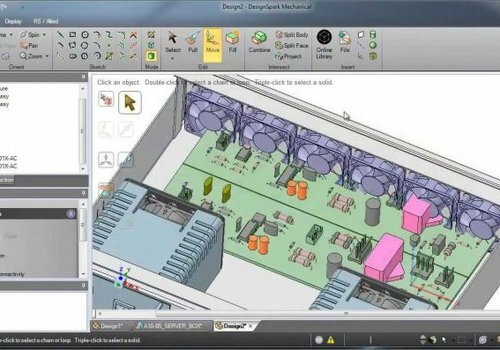 Best for those in the industry, models designed in DesignSpark can easily have their cost estimated through their BOM interface. SketchUp is a 3D modeling software that specializes in creating practical and beautiful architecture models. 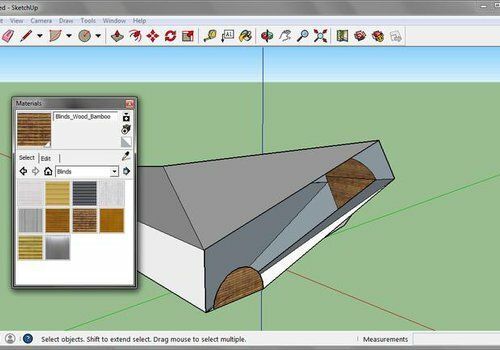 SketchUp’s interface is considered quite intuitive to use, and its package is comparable to that of CAD’s. SketchUp is one of the most popular 3D modeling software in the business due to its speedy response time and ease of use. 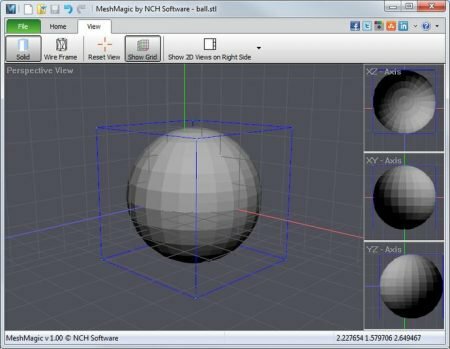 Mesh Magic allows its users to create both 3D and 2D models through its easy and intuitive interface. The software can import STL files created from other 3D modeling software, and also allows 2D drawings to be extended into 3D. Mesh Magic caters to different niches by offering varied extra software for the program. Engineering and manufacturing are the heart of Open Cascade’s 3D. 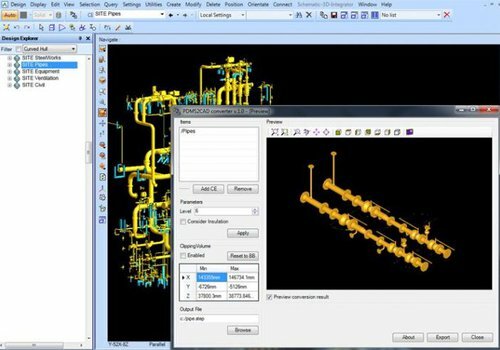 Although not strictly a 3D modeling software, Open Cascade is used with developing applications dealing with 3D CAD data. The software is written in C++ language and is often utilized for data visualization and 3D surface and modeling. As a plus, Open Cascade can be used in mobile devices. 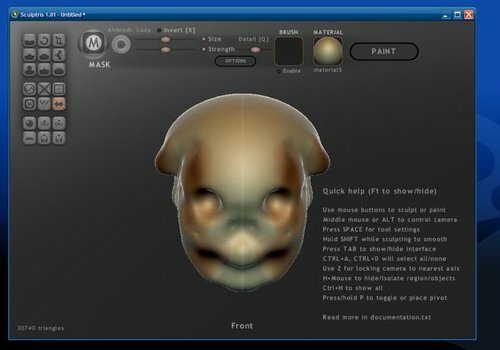 For the budding 3D modeling artist, Sculptris should be something to eye on. The software is focused on 3D sculpting and its interface is best for novice digital artists. Sculptris’s software analyzes the proportions of your sculpture and adjusts its geometry to allow for easy sculpting—a feature that makes it popular among this niche. Once you’re ready to move to other advanced software, your Sculptris-born work can be opened in Zbrush. 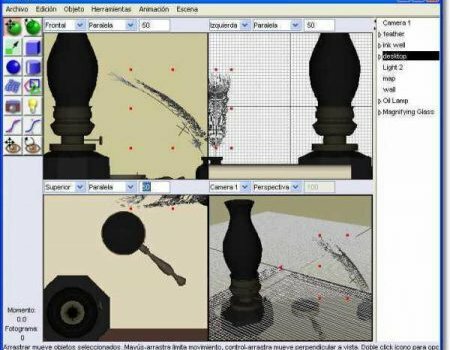 NaroCAD is a 3D modeling software based on Open Cascade. This is perfect for those beginners getting into the 3D modeling. 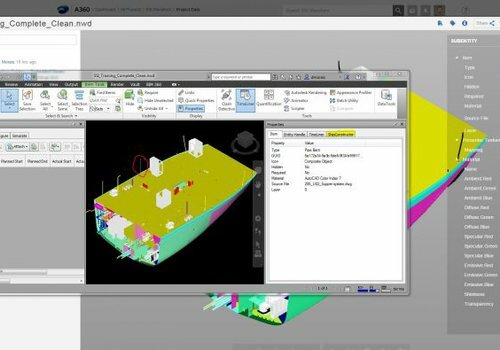 NaroCAD’s full-fledged and extensible CAD modeling application make it perfect for outputs related to a various field: product design, engineering, and architecture. Vue 11 is best for creating digital landscapes. The software allows the user to create video effects, which is useful in digital walkthroughs for projects that are yet to be constructed. This version is free and has features identical to the full version. However, outputs are to be used only for personal projects. 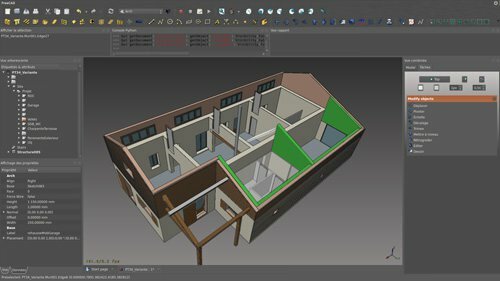 Vue 11 is perfect for the aspiring architect or hobbyist. 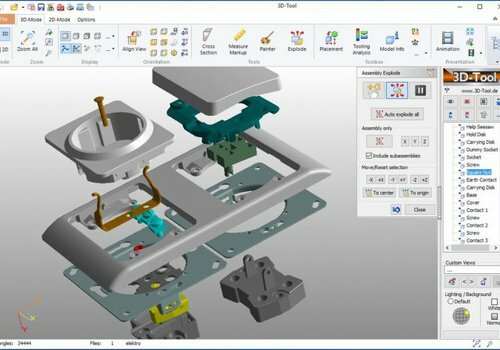 PTC Creo’s applications are focused on mechanical engineering and product design. However, it can also be used for architecture. The software employs 3D CAD’s direct modeling approach. 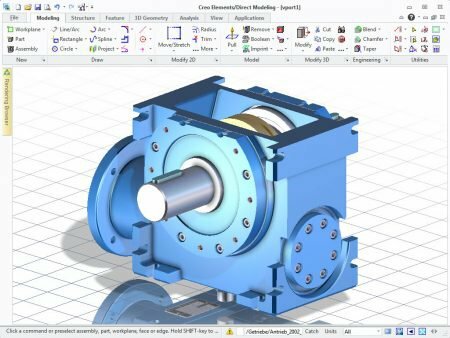 You have to purchase PTC Creo to get its full features, but there is a free version of the software that’s available for non-commercial uses. OpenSCAD is one of the more practical 3D modeling software in the market. 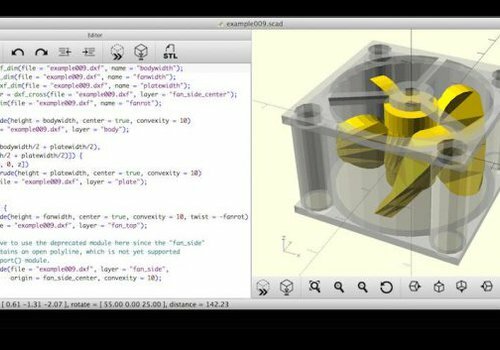 Unlike software similar to Blender, OpenSCAD focuses on the CAD aspect of modeling. It is not interactive but reads a script file with the object description instead. The model is then built by either constructive solid geometry or extrusion of 2D outlines. 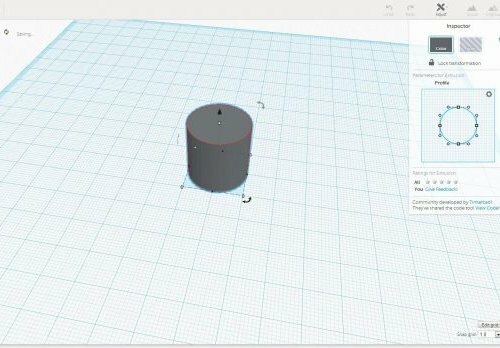 Mesh Mixer optimizes your 3D models for 3D printing. Users can scan existing objects and upload the data to the software, allowing them to create compatible parts. The software also allows users to clean up 3D scans. Mesh Mixer is best for those in the product design industry needing a one-stop shop for their 3D printing needs. You may remember your classic LEGO set from your childhood. Those small brick pieces were useful in creating whatever you could want them to be. Interestingly, LEGO bricks are more than children’s toys. They have been used in restoring walls to their former glory or helping decapitated animals. The bricks can be used to build anything. 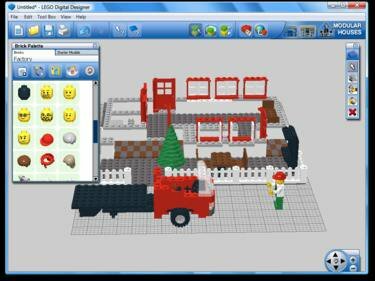 LEGO has created a 3D modeling software for the budding LEGO designer. You can create your 3D model with an assortment of the various brick LEGO has to offer. Another nifty feature: the designs can be exported. These allow your 3D plans to be opened and edited in any other 3D software you’d like. TinkerCAD’s user interface has dummy-proofed the whole 3D modeling business. 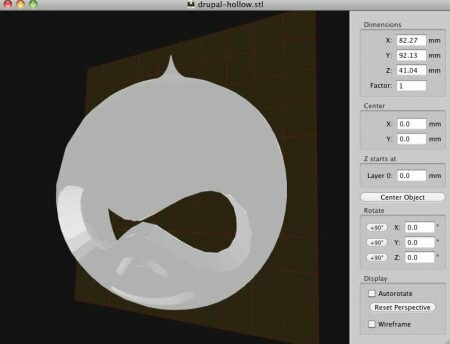 The software allows beginners to create their desired objects with the use of 3D shapes. The shapes can be adjusted in size and placement by simply dragging the shape, or inputting the desired dimension. 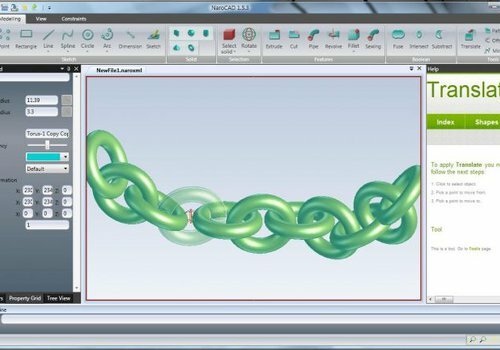 Users can even use the software to 3D print their designs! The best part? TinkerCAD is absolutely free. Art of Illusion is an open-source 3D modeling software. It specializes in 3D modeling and rendering. The software features are similar to that of their commercial counterparts. Features include but are not limited to skeleton based animation, subdivision surface modeling, and a graphical language for designing procedural textures and materials. There you have it: twenty free 3D modeling software that can help turn your vision into a tangible product. Here at Real Space 3D, we don’t just use 3D modeling software to create great outputs. We also use a couple of other applications to help make the most out of our designs. 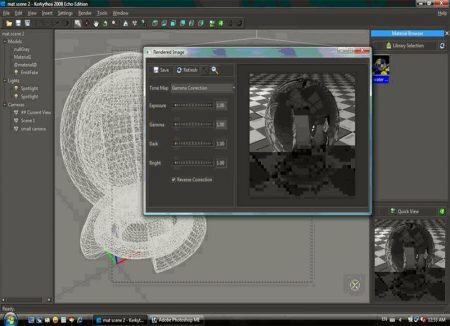 We’ve compiled an additional list of software that help your 3D modeling experience. Rendering engines are important when finalizing your output. The image file that your clients get to see is a result of how well your design has been rendered. A lot of rendering engines are quite expensive. But like 3D modeling software, these commercial rendering engines have their free counterparts. We’ve compiled a list of the best open-source 3D rendering engines for you to check out. Cycles is a rendering engine created by the team behind Blender. It employs unbiased rendering. Unbiased rendering often gives results that are smooth and noiseless. Cycles is part of the Blender software. 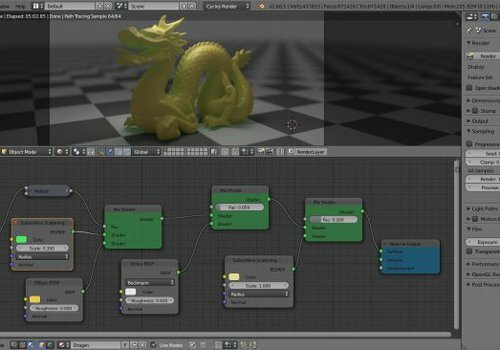 It has global illumination and Blackbody emissive materials features, among others. Cycles has been noted to work efficiently and finish rendering at a speedy rate. This makes it a favorite among the 3D modeling community. Kerkythea specializes on rendering materials and light effects. Outputs rendered by this engine are noted to be realistic. This is because Kerkythea renders using accurate physical materials and light as reference. 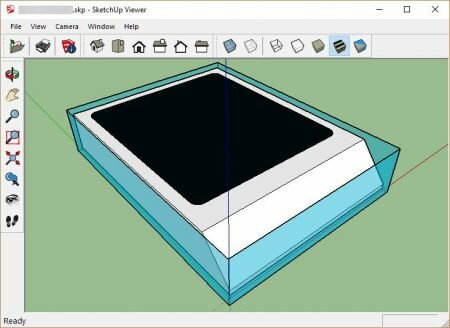 Anybody working with Kerkythea can export their work to SketchUp. It also accepts files in .3ds and .obj format. For those creating abstract or non-realistic work, Freestyle should be something to look out for. Users can edit the program code and customize it to their liking and preference. Freestyle’s program language is Python. Freestyle specializes in non-photorealistic line drawings from 3D scenes. The program was developed in researching the matter, and can be read here. For those itching to try out Freestyle, it can be used in Blender too! Pixar’s RenderMan is used in various Disney products. Movies like Rogue One and Monsters University have all been rendered through the said software. The effects have produced quality CGI and 3D animation the entertainment giant is known for. Unfortunately, RenderMan doesn’t come cheap. It is pricey and isn’t available to just anyone. Thankfully, Pixar has released a non-commercial version of RenderMan. RenderMan 21 can be downloaded for free. It has identical features to its commercial version. The only limitations for this version is that it is node-locked and lacks a floating network license. For those wanting to try the software used by one of the world’s top entertainment industries, RenderMan 21 should be something to try. Octane Render is one of the rendering engines we use here at Real Space 3D. 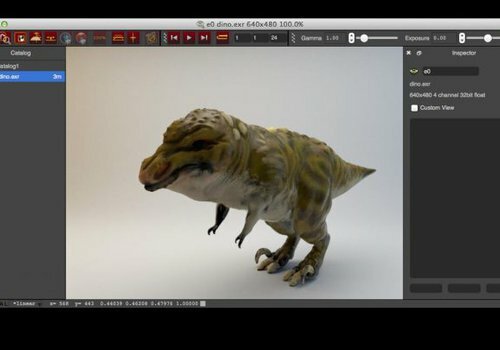 Rendering is easier with Octane Render as it optimizes the computer’s GPU. The engine also does volumetric and deep pixel rendering, among others. Octane Render is a commercial software. However, the company has released a demo version of the software. The limitations aren’t a lot, but do make it a bit harder for the user to try Octane Render’s full potential. 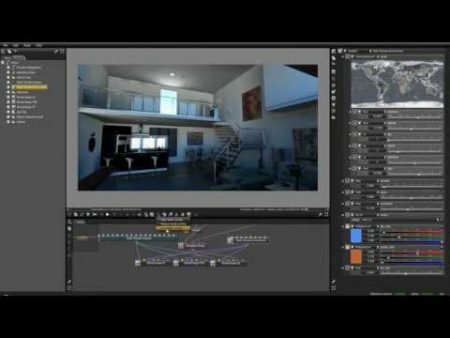 This version of Octane Render is best for interested 3d modeling designers taking this render engine for a spin—minus the commitment. Mental Ray is one of our favorites for rendering. It is developed by NVIDIA, an esteemed computer hardware and software manufacturer. Mental Ray has been known for producing realistic outputs. 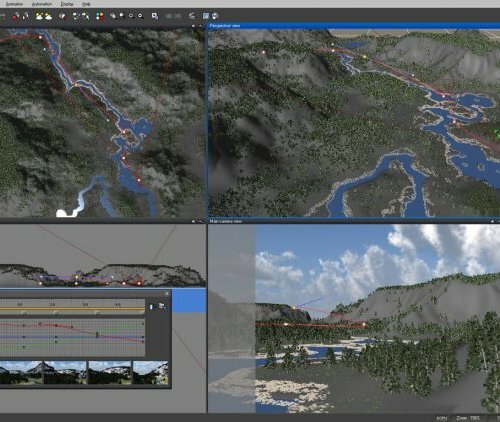 The software gives the user control to which CPU/GPU should be used during the rendering process and custom color profiles among its features. The software isn’t of the open-source kind. 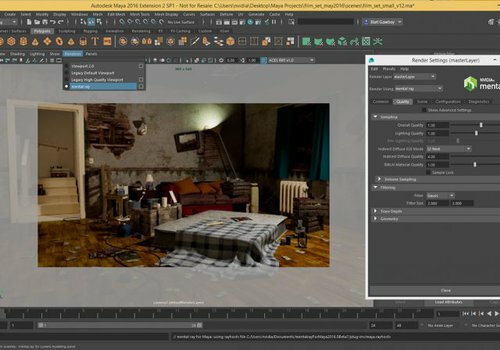 However, Maya users can download Mental Ray for free. Lux Render is one of the popular free rendering engines in the market. Its renders are physically based and unbiased, giving outputs a smooth look. Photorealistic images are produced due to Lux Render’s light simulations. This rendering engine works on a number of 3D modeling software. Blender, Maya, SketchUp, and DAZ Studio are few of the engines that are compatible with Lux Render. Ogre 3D is a modeling software. However, it is best known for its rendering engine. The software is under the open-source category, with the program being developed with the C++ language. Outputs from the software are of varied nature. Video games, scientific developments, and 3D sculpting are some of the applications Ogre 3D is used for. 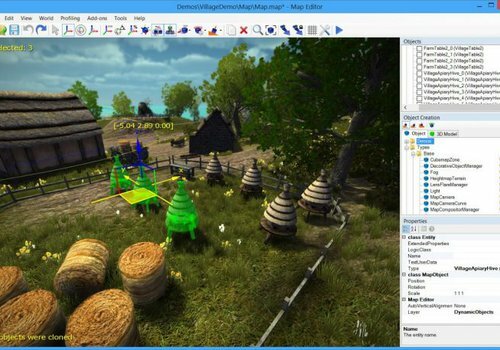 Horde 3D is a small rendering engine compared to others in the market. What sets it apart from its bulky peers is that it produces astounding visual effect while staying lightweight. It is an open source program and refers to itself as a next generation engine. This is due to Horde 3D’s shader driven architecture and other impressive features. Yafa Ray is different from most of the rendering engines in the list. It employs raytracing as its rendering technique. This technique produces realistic images as the engine traces the light through a 3D scene. Yafa Ray is used in different 3D modeling software such as Blender and Wings 3D. There may be people in your company who don’t necessarily do the 3D modeling and may not need to use any of the software listed above. For example, a professor who needs to check designs on a medium hardware laptop may not have the above software installed. That’s where 3D Viewers come in handy. 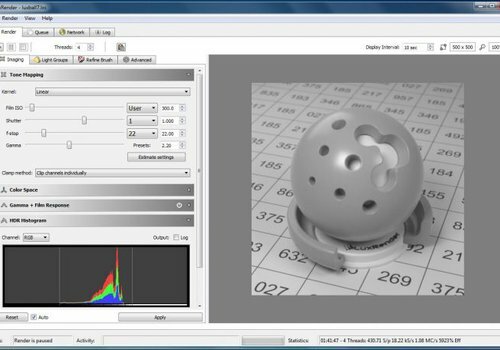 These software allow its users to see the final output of any 3D modelling software without downloading it. Open 3D Model Viewer is a no-fuss open source program for those who just want to check out their files. The program allows multiple scenes to be open at the same time, plays skeletal animation, and can even edit & fix glitches that may happen in 3D modelling. Once done editing these glitches, users can export them as well. 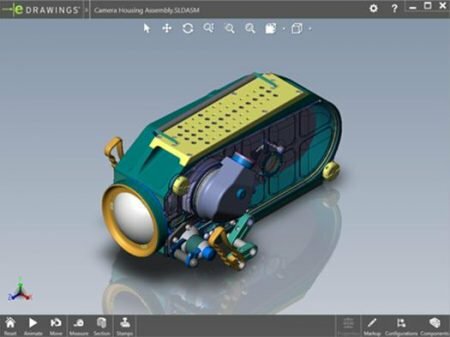 eDrawings allows the 3D designer to share only what they want to share with their client. This 3D viewer allows two-way design communication between two parties. The designs can be transmitted via e-mail, with each output being viewed in the context of the real world. This viewer is best for those who do not need to publish eDrawings files. It is what its file name implies: a viewer. This 3D viewer’s functions are more basic compared to other programs in the list. The viewer allows the user to view the output’s measurements. This includes distance, angles, volume, weight, and other useful physical dimensions. The viewer can be used for both personal and commercial projects, making it an economic choice for those looking for a practical viewer. 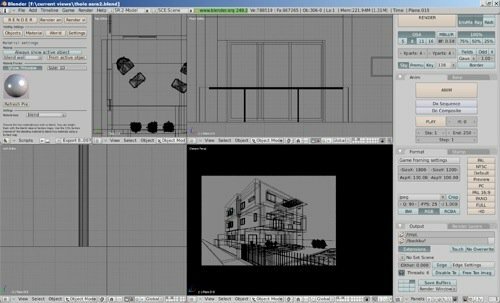 For the client who needs to check the final look or for the supervisor keeping track of progress, SketchUp Viewer is the perfect software for viewing SketchUp files. You don’t have to worry about any accidental design alterations or how your client sees the project. In addition, files can be shared easily through e-mail or uploaded to the internet. Solibri claims that their 3D viewer is something that everyone in the construction industry should use. 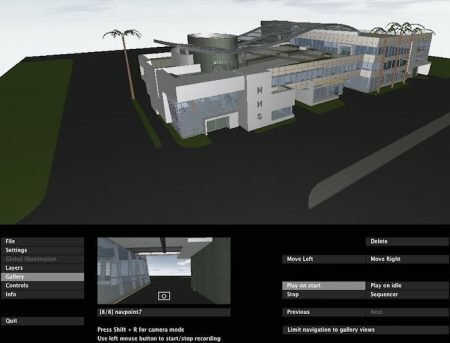 It’s not hard to see—the software allows users to view 3D models and add any comments. Perfect for any job requiring extensive collaboration. 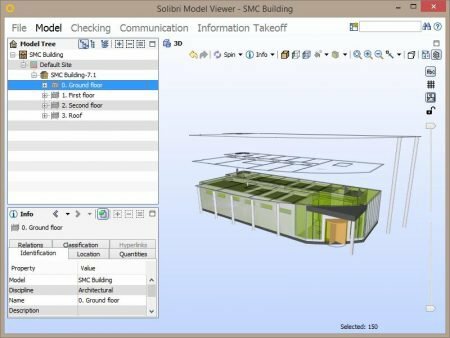 The viewer works best with Solibri’s own 3d modeling software to access other users’ files. FBX Reviewer is one of the many products created by Autodesk—the company behind AutoCAD. 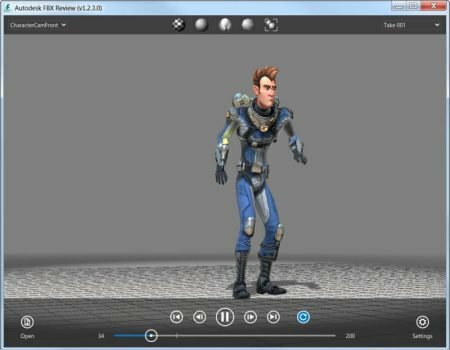 This software allows the user to view 3D models and animations from any platform, without a 3D modeling software. FBX Reviewer is a lightweight software and can be used in both laptops and smartphones—perfect for checking models on the go. BIMx differentiates itself from competitors by offering hypermodel features. BIMx can be used on both smartphones and desktop computers, making it easier to collaborate on a project anytime, anywhere. In addition, BIMx allows users to share projects on different social media platforms. If you are a real estate agent or an architect always on the go, BIMx should be something to consider. Always on your phone? Always on the go? Try View Up. View Up is a smartphone application that allows users to view 3D models for free. The app doesn’t download files to your smartphone. Instead, they use a variety of cloud software to hold your files, such as iCloud and Dropbox. Shortened as v3dm, this viewer allows users to store and use various file formatters to visualize a model. The software is more of a storage for all the files and relies on different software to get the job done. V3dm has integration modules for different viewers—quite apt, as it was created to view STL files for 3D printing. If your desktop doesn’t have enough power to hold a 3D modeling application, try using online viewers. A360 Viewer is an online 3D model viewer developed by Autodesk. The viewer allows users to share, embed, and print files. 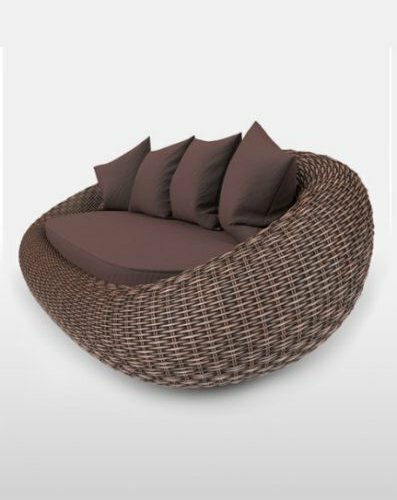 A variety of 2D and 3D files are supported as well, making this viewer one of the most popular online 3D model viewers in the business. We use Gimp for photo editing. It is an open-source software and allows users to create photo edits that can rival those from a commercial software. 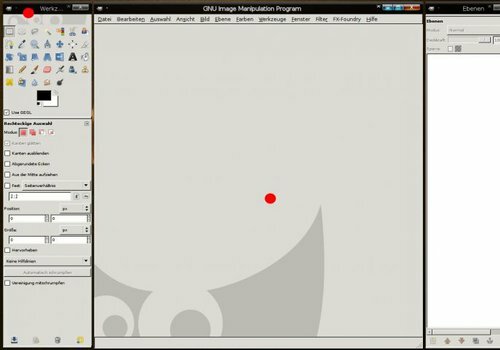 Gimp can be customized however one would like through their source code. They also have features that ensure whatever you see on-screen shows up in your printed media. Whatever software you choose, we wish you the best of luck in producing your artwork. Have you tried using any of the above software? Let us know!